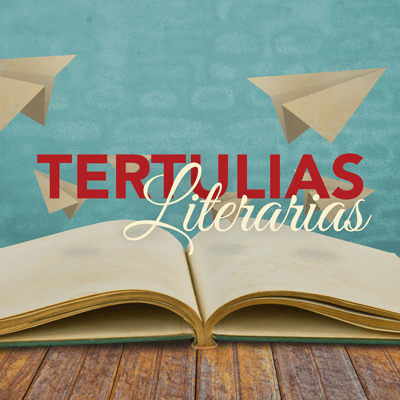 Con la Biblioteca Pública de San Francisco, MCCLA presenta un club literario para adultos en la comunidad de la Misión para leer y discutir libros en español. El Club tuvo mucho éxito desde su comienzo el 23 de abril del 2012 con más de 15 integrantes cada mes. Para más información, por favor llamen a Ricardo Antoni, Bibliotecario de Adultos de la Biblioteca de la Misión al (415) 355-5738. La historia del mole se remota a la época pre-Colombina y hay varias versiones sobre el origen del mole como lo conocemos actualmente. Se narra que los aztecas preparaban para los grandes señores un platillo complejo llamado “mulli,” que signifca potaje o mezcla. Otra de las historias ubica al mole poblano en el convento de Santa Rosa en la ciudad de Puebla (Mexico) cuando una monja molió diferentes chiles y otros condimentos juntos en un metate. Otra version cuenta que el mole se complementa con especies traidos por los Españoles, quienes transformaron la fusion del mole. Como vez, el mole tiene una historia de ser el plato mas apreciado por la nobleza, representa una de las muchas riquezas que los indíguenas han aportado al mundo, y simboliza la interconección entre dos culturas. 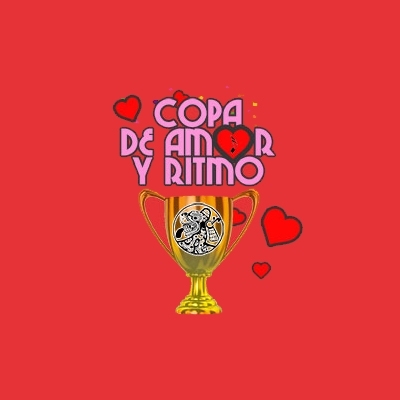 Los Interesados en participar descarguen la ficha de inscripción aquí! The history of the mole goes back to the pre-Columbian era and there are several versions of its origen as we know it today. It is said that the Aztecs prepared for the great lords a complex dish called "mulli," meaning porridge or mixture. Another story places the mole poblano in the Convent of Santa Rosa in Puebla (Mexico) when a nun grounded together various chilies and other seasonings in a metate. Another version says that Spaniards brought different condiments to the natives, who then used them to transform the fusion of the mole. 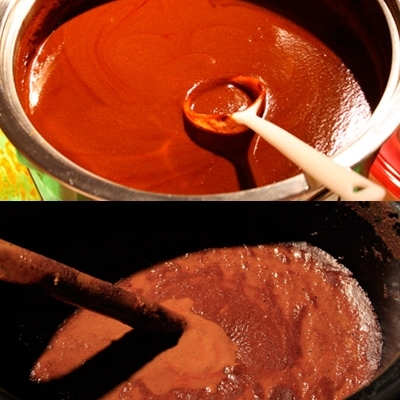 As you can see, there are many histories of the mole, but it is clear that the Mole is a special dish for the nobility, it represents one of the greatest gifts that indigenous people have contributed to the world, and symbolizes the interconnection between two cultures. If you are interested in participating download the entry form here! Jungla Y Cumbamba: Neo Garcia's choreography! Carnaval 2011: Areito! Timba Y Chancletas! "Live Your Fantasy" - Manuel Suarez' Choreography. MCCLA students, staff, and Board, in conjunction with Edison Charter Academy [K- 8], is proud to present its entry for the San Francisco Carnaval Parade, and the 2011 theme of “Live Your Fantasy!” “Areito! 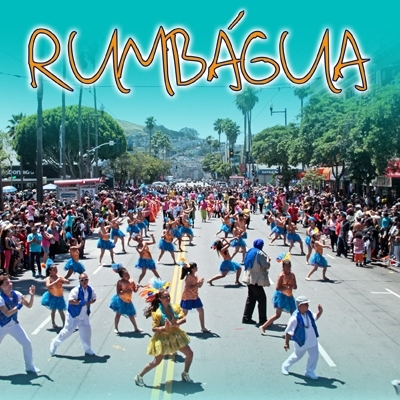 Timba Y Chancletas!” is our fantasy of what the Pre-Columbian festivals held throughout the Caribbean region have evolved into. 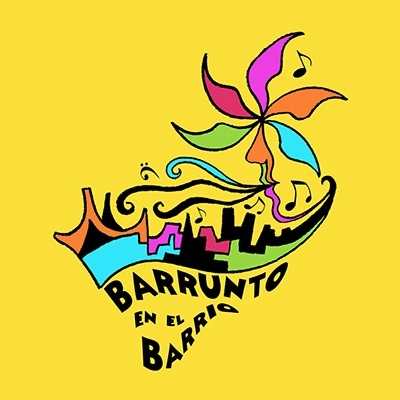 “Areito” is a Taino word used throughout many of the major islands in the Caribbean, including Cuba, Puerto Rico, Hispaniola, and the Bahamas - -where ever the Taino lived and gathered for their celebrations. These gatherings would last for days according to early chroniclers of the indigenous people of the Americas. The choreography and music of MCCLA’s contingent under the leadership of Manuel I. Suarez will combine elements of indigenous, Afro-Cuban, Latin popular dance, and French tradition. “Tumba Francesa” is the result of the French diaspora to Cuba after the Haitian revolution several centuries ago. “Tumba Francesa” is characterized by stately quadrille style formations and vestments reflective of the French colonies in the late 1700s. “Timba” is the latest hot Cuban dance form and rhythm. The “Chancleta” portion of the presentation is joyfully rhythmical, as the dancers produce their own musical accompaniment with the wooden sandals called “chancletas”. “Chancleta” is not only a wooden sandal, but also a rhythm and a dance from the “Oriente” or eastern part of Cuba. The dress is the traditional “guarachera” – known to the general public as “mambo” shirts, i.e. heavily ruffled sleeves for both men and women. Musicians will play traditional Oriente style “Comparsa” or Carnaval music. 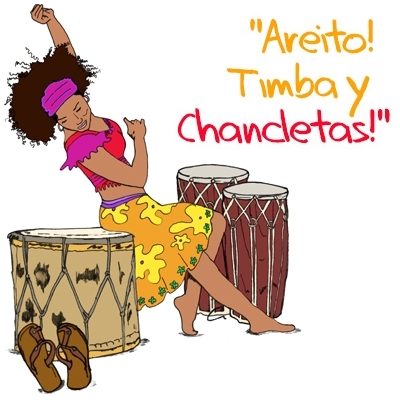 The music is characterized by tumbadoras, a specific “campana” or bell rhythm, and a “boku” – a large round drum sustained from the shoulder, typical of the Oriente region of Cuba. The professional musicians will be complemented by drummers from Edison Charter Academy, a K – 8 school located in San Francisco’s Mission District, as well as students from MCCLA. 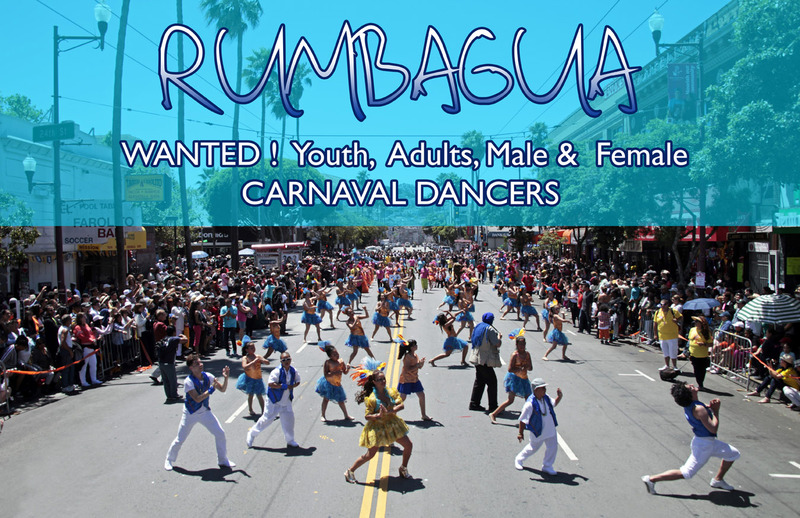 Come and enjoy the full Carnaval Contingent Video: Saturday, June 25th at 4:00 pm. Watch our Carnaval Rehearsal routine, every Wednesday and Saturday. JOIN TODAY! 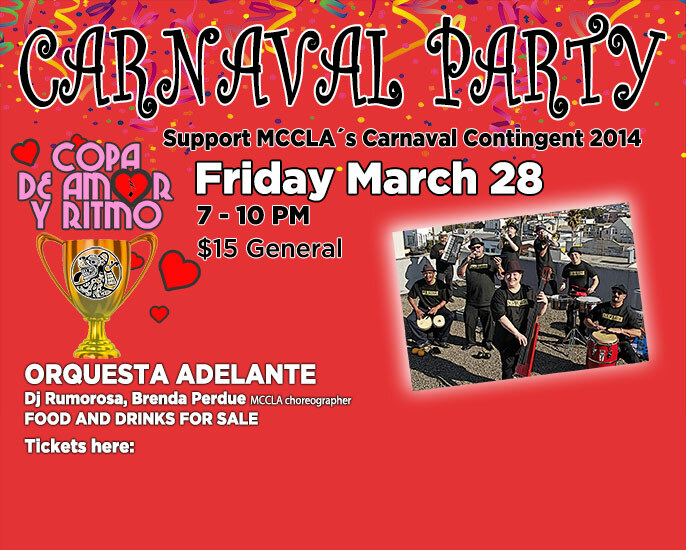 Thriving in the heart of the Mission District for 33 years, the MCCLA has been a staple in Carnaval San Francisco since it’s early days. MCCLA’s contingent prides itself on being open to people of all ages and dance abilities. This year, we enter our 5th year of partnership with Edison Academic Charter School. 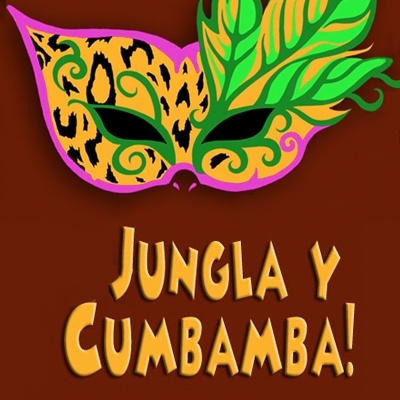 Together with youth from our Multicultural Afterschool Program and our adult dancers, we will present “MI GROOVY BOOGALOO” for the 2010 Carnaval SF Parade. 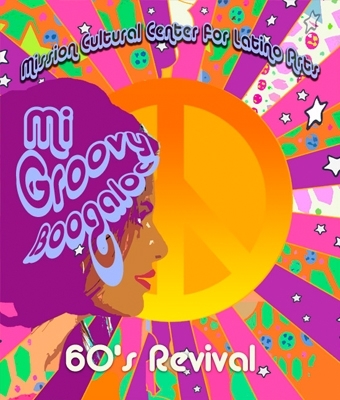 Our theme takes a fond look back at the colorful and highly musical latin-retro period of the late 1960s. Elizabeth Soberanes, former Carnaval Queen and creator of Latin Dance Grooves, is the Lead Choreographer. She is assisted by Co-Choreographer Bianca Coleman and Rehearsal Assistant Eyla Moore. For music, we enjoy the accompaniment of the fabulous MCCLA Youth Orquesta Futuro Picante, under the leadership of musical director Jose Leon, MCCLA Youth Program Coordinator. In this contingent, more than 200 dancers will theatrically boogaloo, cha cha cha, salsa, and sing along the parade route—joyfully following our very chévere float. Dancers will portray go-go dancers and classic 1960s latin-retro characters inspired by fun and funky spy/detective movies of the era. This year, MCCLA will also join forces with an enthusiastic group of dancers from the historic Mission bi-lingual newspaper El Tecolote, which celebrates its 40thyear Anniversary in 2010. In 2010, Latin dance and music are in danger of extinction! Our heroes have to travel back in time to rescue the Latin Boogaloo rhythms that flourished during the late 1960's and THEN mysteriously disappeared. They travel back in time to this era to learn to dance to Latin Boogaloo music. When they arrive, the dancers from that era try to distract our heroes with other American dances of the 60's (like the Twist, the Mashed Potato, and the Monkey). But instead, our heroes manage to entice these villains with the beautiful rhythms of Latin music and teach them to dance to our sophisticated Latin beat. Everybody returns to the present to dance a fusion of old and new with a blend of Salsa, Boogaloo and contemporary popular urban dances of today. Latin music is here to stay! 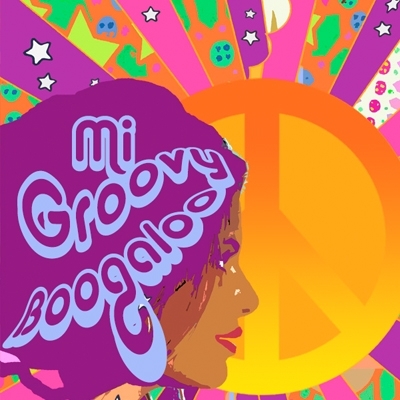 “Mi Groovy Boogaloo” acknowledges and recognizes the history, influence, richness and sophistication of Latin dance and music, and the importance of keeping our dance, music, traditions and cultural legacies alive and evolving for future generations.